Many organizations use the Cisco Call Manager as their primary communication platform. Cisco Call Manager is one of the most well-known platforms with many features and capabilities. 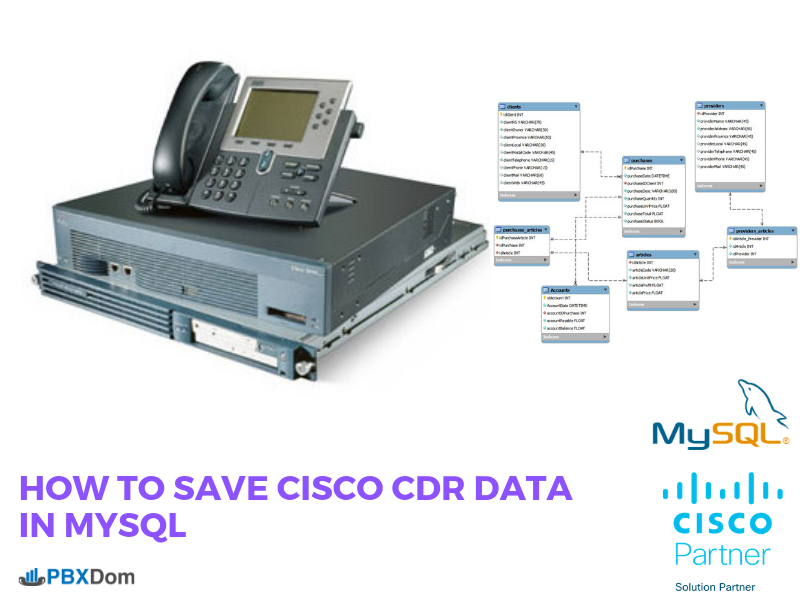 Developers looking to use the Cisco Call Manager call information in their applications such as CRM, billing or helpdesk should spend a lot of time learning to understand the Cisco system and how they can deal with that information directly from the Cisco Call Manager. Today, I want to show you how you can save your Cisco Call Manager data to a Mysql table with the Node.js script. 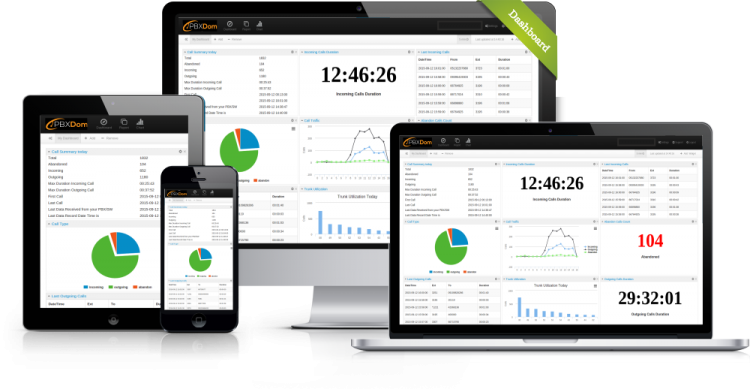 I use the PBXDom API, powerful call analytics and reporting tool, to achieve that goal. So, if you are interested, let’s go. First, you should sign up for a PBXDom account. Fortunately, you can try 14 days for free; then you should install the collector software and connect it to your CUCM. All of them take about 10 minutes of your time. I suggest reading the following article about how to connect your Cisco Call Manager to PBXDom and access the dashboard and reports, and also connecting to API. After logging in to your PBXDom account, go to Settings –> account and get your API key. Before going to the next step, make sure your CUCM is connected to PBXDom, and you can see your call information in the dashboard. My goal is to connect to PBXDom API and get all the call information, then insert it into a MySQL table. Also, that script should be able to run continuously and fetch new data automatically, so we are expected always have the latest info in our MySQL table. If you want to use the call information for another purpose, you can change the scenario to fit your needs instead of inserting the data into a MySQL. https://api.pbxdom.com to https://api10.pbxdom.com so we can use any of them, but I chose the first: api.pbxdom.com. We don’t need all the other parameters, but if you’d like to play with them, you can find more info about them in the API documentation page. If you get the same result as before, go ahead to the next step. You should see the same result as the curl command in your console. So, until now, we were getting data from API, but we should be getting all data. We should get the new data and always be updated, so with start and limit parameters; we can achieve our goal. We can do the same things with PBXDom API start and limit parameters. One thing we should care about is that we need to write a script that should be run every minute or every 5 minutes, depending on your requirement and your application. Our script should be run several times a day. On the other hands, as I mentioned before, we can’t fetch more than 10,000 records each time. Also, we should care about the MySQL database load and the performance of our application, so we can choose 50 or 100 or any small number like that; each time we run our script we only receive the 50 records, and then we save the offset into a JSON file, because we need to know for the next time we want to run the script which offset to start from and get new data after that. For saving and retrieving data to a JSON file, I wrote the following functions. We will use them in our script for saving and retrieving the current offset. It will save the offset variable with the value 100 in our JSON file. Now, the offset variable has our offset value from the config.json file. For clarity, I use different variables for each of the parameters so that we can change them quickly. Also, you should care about the StartDate and EndDate variables and enter the right values. I set the limit to 50, but you can change it to any other number; the max number is 10,000. If you save the last part into your index.js and run it, the first time, it will try to get config.json file data. Because it can’t find it, it returns 0 objects, so our script reads data from 0 records. But when we call the API and get the result, we then save the new offset to config.json for the next call. When we run the script for the second time, it reads config.js again and gets the offset value and passes it to API, and we will get the next chunk of data. That is all the logic of script. Until now, we wrote a script, and it could get all the data and print it into the console. We can quickly put it to Cron job or Windows scheduler to run every minute. Now, we should add the Mysql part for inserting the retrieved data to a MySQL table. The above code connects to your MySQL. We just need to create an SQL query insert and run it based on the data we received from API. data = date + "(" + call.id + ",'" + call.callDateTime + "','" + call.ring + "'," + call.callDirection + "," + call.callTypeMapId + "," + call.dialedPhone + "," + call.callerPhone + "," + call.callerName + "," + call.ext + "," + call.extName + "," + call.duration + "," + call.cost + "," + call.spamStatus + "," + call.co + "," + call.coName + "), "
Let’s explain the above code. At first, set an SQL variable for Insert command with the column information. As you see, you should create a table in your MySQL with that field or change the field name based on your current table. In our example, we will insert data to the CallInfo table. I use “JSON.parse(resp.body).calls.forEach“ to get all records retrieved from API and create our SQL statement. Finally, “connection.query“ runs our SQL statement and inserts data to the table. I added some additional code to prevent an error when the new data is not available. Now, you can customize that script and start using it. Finally, I hope this article can help you to write a smarter application for your organization. I’m sure that the scripts could be improved upon, but they are enough to get started, and I’m sure you will write better code than me when you get the idea.